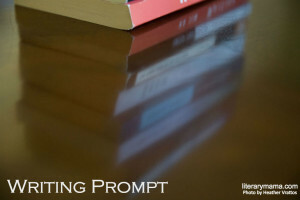 Last month, we invited readers to share responses to a writing prompt inspired by Angie Romines' essay "Mother Mary." We asked readers to tell us about a mother-figure who helped them see a truer version of themselves. Here is Alzala Singleton's response. The dictionary defines a mother as "a female parent"—such a simple explanation of the word with none of the emotional connotations that come with it. My heart defines mother as the woman who birthed me, the woman who raised me, and the woman I am becoming as I grow with my child. My earliest memories of my mother, the woman who birthed me, are clouded by the ugliness and bitterness of my parents' divorce. I have pictures that show a happier time but no real memories of those snapshots. The more solid memories of my mother come from her sporadic visits on birthdays and the occasional phone call here and there to check in. Visits with my mother were exotic and thrilling but always left me feeling empty and incomplete. I longed for the kind of mother I saw on television, to bond with her over makeup and boys and gossip, to lean on her when my heart broke and my feet soared. It took getting through my twenties to realize my mother was doing the best she could and had never stopped loving me. My earliest memories of my grandmother, the woman who raised me, are filtered through the naive childhood belief that she was just my grandmother. Her day was structured around making sure I was taken care of while she managed and ran the household on a waitress's tips and graveyard hours. She was up every morning to make me breakfast and see me off to school. She was there every afternoon to make sure I did my homework while she cooked dinner for the family. Summers were spent in the garden learning to grow and cook food, taking pride in the dishes I presented at the family table. Grandma saw me through the pitfalls of puberty. I remember asking her how a tampon worked and never looking at paper towel rolls the same way again. I know I appreciated her, but I also remember the fights where I would throw hurtful words at her, insisting she wasn’t my mother and therefore not the boss of me. I imagine I made her cry a few times, but she never let me see that side of her. I failed to realize that everything I longed for with my mother, I had with my grandmother. As I matured into adulthood, I began to appreciate my mother and grandmother as women with their own histories and realities. They weren't perfect, but they were amazing people in their own right and raised me to be the same. My mother and I have found peace with each other, growing together to guide my daughter. My grandmother resides in my heart, where her words echo daily, reminding me how to love and cherish my family. I am who I am today because of these women. I draw my strength in life from their support and love and know that as I walk down the path of my life, I am not alone. Alzala Singleton lives in Los Angeles and spends her days channeling her creative ideas into writing business articles covering merchant processing while dreaming about all the books she'll one day publish. Alzala shares her home with a husband who lovingly tolerates all her wacky ideas, a one-year-old daughter who delights them both on a daily basis, three cats, and a hermit crab.